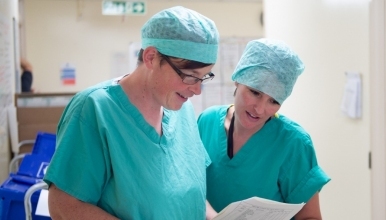 The Endoscopy Unit at The Royal Shrewsbury Hospital is looking to recruit a part time (32 hours per week) Band 5 Staff Nurse / Operating Department Practitioner to join their team to cover maternity leave for 12 months. Patient care, experience and staff well-being are at the forefront of our philosophy. This has been recently demonstrated with us gaining our JAG accreditation and a Values in Practice award for safety. The unit currently provides a service for both out-patients and in-patients including the following procedures; Endoscopy, Sigmoidoscopy, Colonoscopy, EMR, Bronchoscopy and EBUS, PEG insertions and ERCP. The pre assessment of patients from clinic that require an Endoscopic procedure; providing skilled and considerate care during the patients admission; taking into account the patients specific needs during the procedure; recovery and discharge; preparing the equipment and the environment to enable the procedures to be carried out to a high standard safely. The Endoscopy unit is currently open 08:00-22:00 Monday to Saturday, including bank holidays. We provide a comprehensive on call service for the out of hours work. Candidates should have a professional nursing / ODP qualification, drive and enthusiasm, excellent communication and interpersonal skills and in return we will be able to offer you support towards your professional development. It’s very important that we select the right nurses to come and work for us. The selection process for all nursing posts will include a Conversion, Medicines Management and Nursing Practice Numeracy Test. You will be invited to sit these assessments if you are successful for the position.